Scared of working for free? Don’t be! It may seem like a waste of time and effort, but it’s not always. 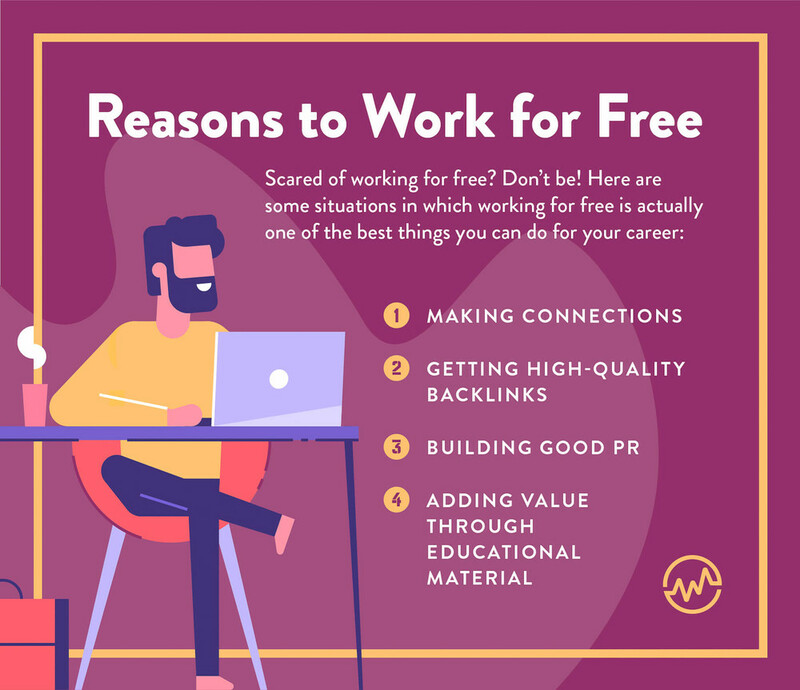 In fact, there are some situations in which working for free is actually one of the best things you can do for your career. You can build connections, gain experience, get publicity, and much more. The trick is knowing when to work for free. 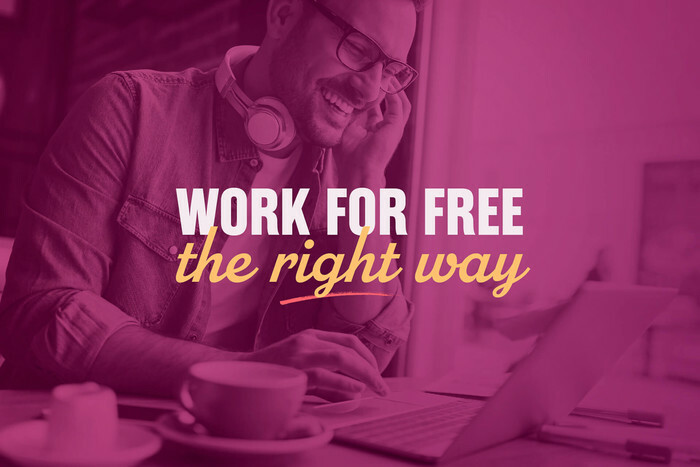 In the world of business and entrepreneurship, working for free isn’t usually viewed as a “good thing.” That makes sense—you can’t build a successful business on free work. Plus if you work for free too often, you risk falling into the trap of not getting paid at all. If you’ve ever done free work before, you know how it goes. One “small favor” leads to another and, before you know it, you’ve done hundreds of dollars’ worth of work for the grand total of . . . zero dollars. But working for free isn’t as ridiculous as some people make it out to be. There’s a time and a place for pro-bono work. While you definitely shouldn’t make a habit out of it, working for free can provide some fantastic benefits. Here’s how to make the most out of free work without sacrificing your time or energy for nothing. This is a big question—when is it okay to work for free? As it turns out, this phrasing can be a bit misleading. 1) It’s sometimes okay to work for free. 2) It’s sometimes okay to work for no money. These two statements might sound similar, but there’s a world of difference between them. If you’re truly working for free, you’re not getting anything back. You’re just doing a favor. Meanwhile, working for no money doesn’t necessarily mean you’re not getting anything in return. Working for free is hardly ever a good idea. Working for no money, on the other hand, can be a brilliant strategy. Working for no money is something you can leverage to gain an advantage for your business. This is the big secret of working for free: Working for free is beneficial when you get something out of the deal. Now, this may sound simple, but it raises a second question: When is working for free actually beneficial? Your network is one of the most valuable tools in your arsenal. Think long term—the connections you make today could help you to transform your business tomorrow. Working for free (strategically) is a fantastic way to build connections and expand your network. If you can help a person or a business succeed in some way, you’ll create a positive rapport with them. That’ll come in handy down the road. But you do need to be strategic. You won’t hit a homerun every time you work for free. Consider the risks and benefits. 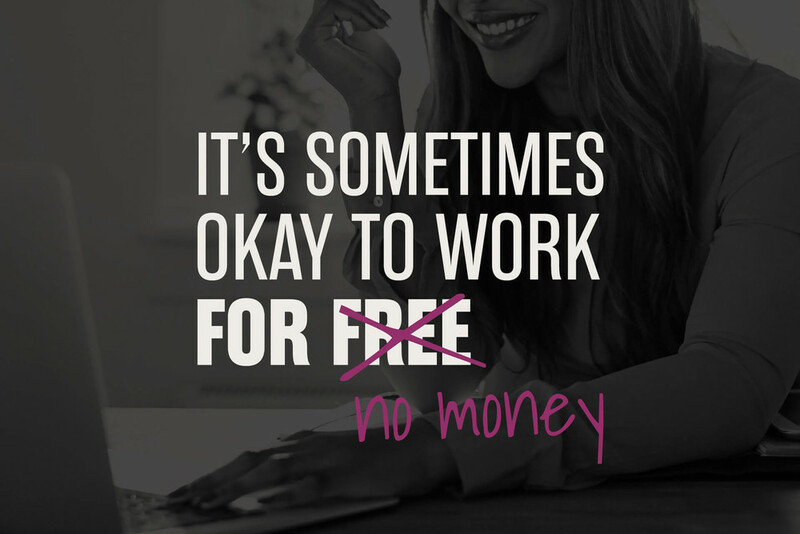 Not all free work is created equal. For example, developing an app for a friend probably won’t earn you much success for your business. But giving a speech to people who comprise your target audience? That could be huge for your business—even if you don’t get receive any monetary compensation. The focus here is on building relationships. Often, fostering relationships with people in your field is more important than earning a few bucks in the short-term. This is especially true if you have the opportunity to connect with a prominent figure in your industry. It also builds goodwill, respect, and trust. These assets are invaluable. When it comes to cultivating a strong online presence, SEO is huge. If you want to drive traffic to your website or social media pages, you’ll need to practice SEO hygiene. A great way to enhance your SEO is by getting high-quality backlinks to your site. Ideally, you want to get authority backlinks from highly ranked sites. One of the best ways to do this involves free work—it’s called guest posting. Guest posting on someone else’s blog or website can provide you with a great traffic spike for your own site. It’s surprisingly easy to find sites that will publish your guest post. All you need to do is take a little time to write up a helpful article. Before you jump into guest posting, make sure you’re aiming for authority sites. And make sure you’re following any guidelines the site has set up for their guest posters. Do your homework and you’ll be rewarded handsomely in web traffic. In an era dominated by social media and content marketing, it can be easy to overlook good old fashioned PR. Don’t make this mistake. PR still plays an important role today and it’s something you need to pay attention to. PR helps you define and establish your brand. It’s similar to making connections—you’re building trust and goodwill for your business. Getting positive publicity can bolster your reputation, improve your online presence, and help you build your personal brand. Since PR is all about third-party credibility, working for free can really help you build PR. 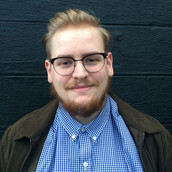 For example, you might get an opportunity to do some pro-bono work for a big project. If the business you’re working with plans to publish a press release on the project, congratulations. That’s free PR for you. When was the last time you learned something truly valuable? You probably associate that information with the person you learned it from. And that’s what makes education one of the best types of marketing in existence. The idea of education as marketing might sound a little weird at first, but take a closer look. It makes complete sense. Say you have the opportunity to speak for members of your local Chamber of Commerce for an hour. Technically, that’s an hour of unpaid work—but you could very well close a few deals in the process, which would more than pay for your hour. Or maybe you have the opportunity to guest teach a webinar for a successful entrepreneur’s audience. Again, this is technically free work. But really? It’s really an opportunity to pitch your brand to an audience and persuade them of your value. This can also be true for direct work. If you spend a few days creating an autoresponder-driven course to improve your sales funnel, that’s unpaid work that could result in big wins for your business. Free work isn’t bad. Heck, even Gary Vee advocates for it. You definitely shouldn’t spend all your working hours on pro bono work, but you should consider working for free when it makes sense to do so. If you refuse to work for no money, you’ll probably miss out on some amazing opportunities. The idea is that you’re making an exchange, even if that exchange doesn’t involve money. If someone’s asking you to create an entire website for nothing more than a thank you card, you should know how to say no. But if you have the opportunity to make connections, get an authority backlink, build PR, or provide educational value—you just might want to say yes.